I think I've fallen victim to the "taking less pictures of the third kid" trap... and as a result blogging has kind of fallen to the wayside. Which is a bit liberating--our days are full and it's hard to pick up a camera when your arms are normally full of children. 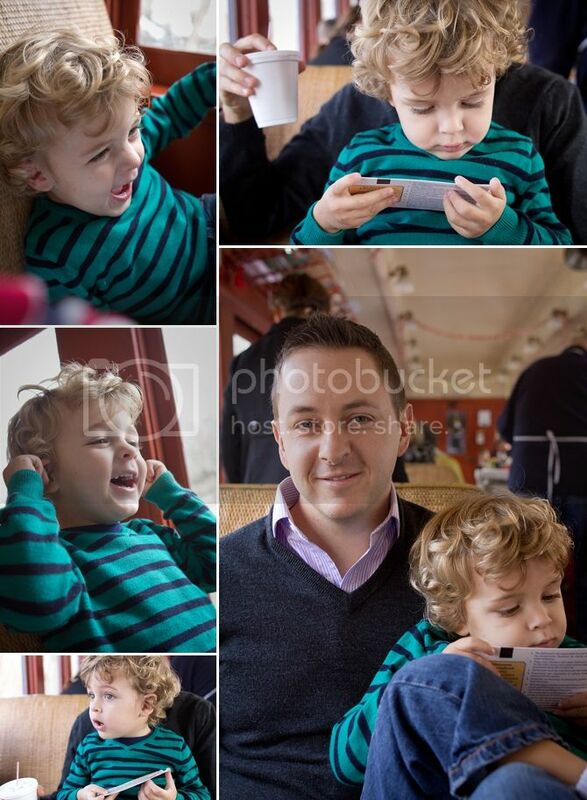 We had a legit photo op this weekend--we took a train ride with Santa! To Braden, train + Santa = Polar Express. He was in heaven. He loved the tickets. He loved looking out the window. He loved singing Jingle Bells. He loved it so much which means it (naturally) ended in tears. Cute, angry tears. (He crosses his legs all the time and it kills me.) Finley enjoyed it too--he got to tell Santa what he wanted for Christmas... a bell from Santa's sleigh (which he asked for and got last year), a Sonic Screwdriver and Duplos. 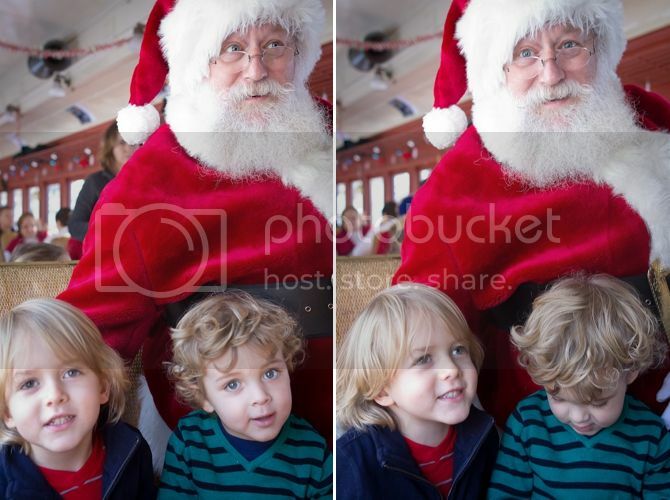 Santa walked through all the trains to chat with each kid--the on train photos were a little tricky and not the best, but it's Santa on a train... so it's a winner. Did I mention five out of the boys' six ears were infected last week? Yes, they were. Oh they were grouchy boys. We're almost done with our Amoxicillin and enjoying life a little more. Keaton had a few weeks of very rough nights and is making some slow progress towards being a normal sleeper. He's started angrily rubbing his ears--so I'm a little concerned we are about to go through teething. Hey! I was on the train too! 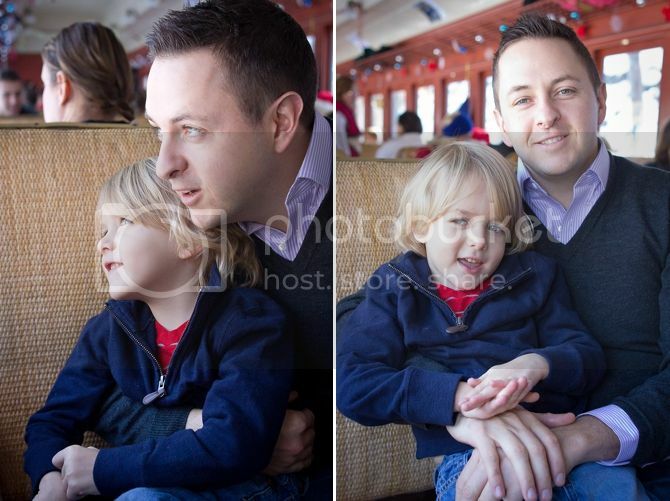 Braden liked Santa--but he LOVED the Conductor. 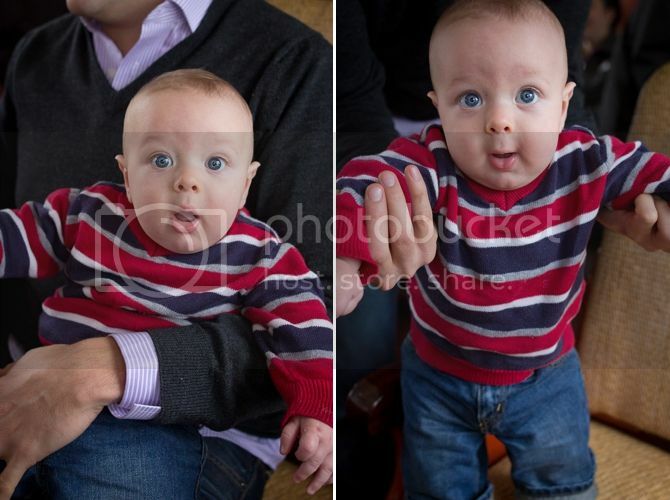 That's why he's grinning in the first picture. He saw the Conductor. 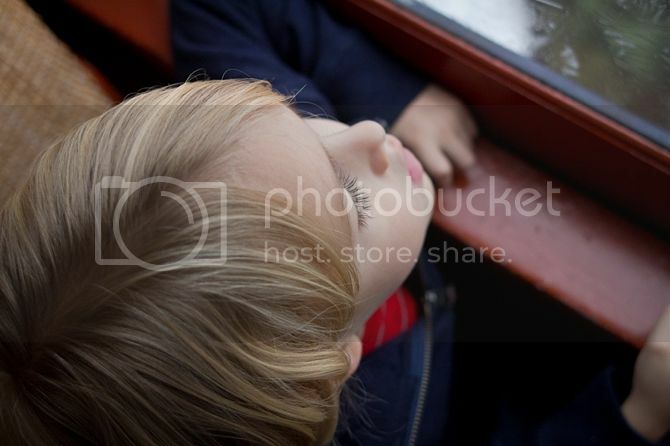 He loves to say, "All Aboard!" and "Tickets please!" when he sees the Conductor. He also said, "The Conductor is so cute!" when he saw him. He cracks me up. I wish somehow Keaton was in this awesome picture with Santa--I love it. 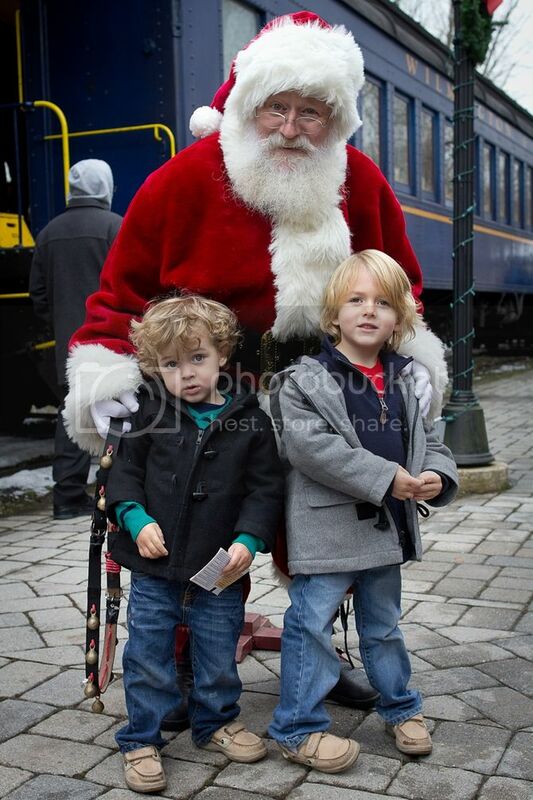 Santa, two thirds of my boys and a train. Sounds like such a fun day making memories! They should offer this in September because while it would be confusing it would make the cutest Christmas cards! It could have made it on our cards if we did it last weekend, as originally planned. Dang snow! Braden looks way too big. How is it possible? Cute, cute boys. And a really good Santa. I thought of your boys when I took it!